Myths are everywhere, but do you know about the cleaning myths which are surrounded around mattress cleaning? Probably might sound weird, yet it is true. Mattress are essentially one of the most comfortable and used bedding materials and even thinking about them brings coziness in our minds. Even though they are quite comfortable, they still need a lot of care and need proper cleaning unlike quite usual bedding items like sheets or pillows. Mattress cleaning is quite important and should be done quite professionally. There are a lot of ways by which you can do it and if you are a resident of Melbourne, well you can even hire a mattress cleaning Melbourne service. 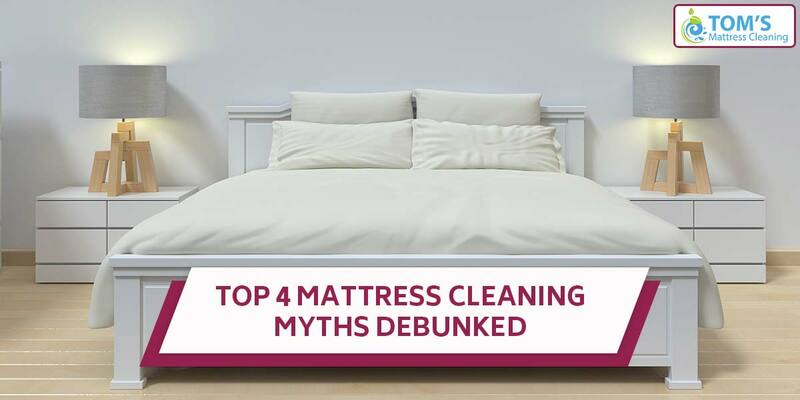 However, there are a few mattress cleaning myths which people usually still believe, yet you really don’t know which of these myths are true, and well, which one of them are just pure myths! Here in this post, we have made sure to debunk some of the mattress cleaning myths. Hop on and give them a read. Myth #1: Mattresses Do Not Need Cleaning Because They Are Dust Free. Even though almost all the modern mattresses come with dust free coating, but they sure are to get untidy after some time. This guarantee is just limited for specific amount of time of your mattresses and eventually, it would wear off with time. Thus, your mattresses need to be cleaned properly to get rid of all the mites of dust and to make it look clean again. People usually mistake mattress covers as the guardians of mattresses and think that there is no need to clean the mattresses just because it has a mattress cover. Well, it’s wrong. Definitely these covers might just save your mattresses from dust, yet your mattresses are still immune to dust and other stains. You can make sure you clean your mattress covers at least once a month to make them look tidy at least. Looks can be deceiving for sure. Same is the case for your mattresses as they might look clean on the surface, yet there might be a lot of dust accumulated over them over time, sometimes dangerous. These dust particles and other contaminants pose a health risk and thus, you would want to get rid of them. So, make sure to clean your mattresses from time to time. People don’t usually realize that new mattresses could also be exposed to allergens and other microorganisms. Of course, the new mattresses might look tidy and attractive, but you need to know that manufacturing process isn’t always done in the cleanest environment. Cleaning your mattresses right after buying is always the best idea for a safer environment at homes. To get mattress cleaning done across Melbourne call Tom’s Mattress Cleaning Professionals on 1300 068 194.